Please know the Signs of Heat Stroke / Hypothermia In Dogs. Summer comes with plenty of fun and exciting activities. If you own a dog, there is no doubt you would want him to tag along to the beach, a hike through the forest, or a Frisbee game at the park. However, is your dog safe from the rising temperatures of summer? Hypothermia in dogs can manifest in a number of ways. Here are the common signs that your dog is suffering a heat stroke. Excessive panting is a sign that your dog is trying to let off as much heat as possible. If he is not allowed to cool down, it will affect his breathing rate too. Breathing problems can escalate quickly especially in pedigree toy breeds like Pekingese, or poodles. Excessive heat can slow down your dog’s activeness. You will notice that he appears bored and is acting slower than normal. This is a sign that the heat is taking a toll on him and he needs to cool down fast. A lazy look will often be accompanied by a whine. If your dog is suffering a heat stroke, he may bear bruise marks in his inner ears or on the gums. Bruising may be more visible in dogs with no hair or less hair on their skin. As you treat those bruises, you also want to ensure he is in a cool environment as much as possible. 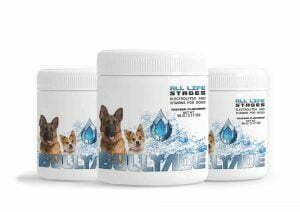 Digestion problems are common in dogs suffering heat strokes. He will lose his appetite or even vomit after a meal. While you get your pooch medicine for his tummy, you may want to have him checked by a vet for other heat stroke symptoms. Dogs suffering heat strokes will appear distressed. He may suddenly become irritable as he tries to cope with the stressing environment he is in. Some dogs will develop an incessant bark while others may become ferocious. Hypothermia in dogs may cause liver and renal failure. Respiratory problems can develop too especially in dogs with tiny muzzles and flat faces, like pugs. Cardiovascular issues may result too which can easily lead to a fatal end. Don’t leave your dog in tiny spaces- inside a car or his kennel- for too long. Houses can get hot too, therefore it is important to have an AC installed and functioning. In addition, ensure the ground he walks on is not too hot for him. If he is a toy dog, carry him whenever you go out. When he starts to get slow out in the sun, find a shade for him for him to cool. Avoid exercising him too much especially when his temperature is too high. Above all, ensure he is properly hydrated so he gets through summer fine. Summer is a fun time to bond with your dog. However, hypothermia in dogs is also rampant during this time. There are possible ways to keep your dog cool in the heat and allow him to enjoy summer as much as you do. 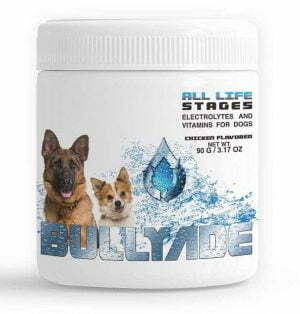 Bullyade is packed full of Electrolytes & Vitamins designed to protect your dog from Heat Stroke or Hypothermia by helping to regulate your pets body temperature. 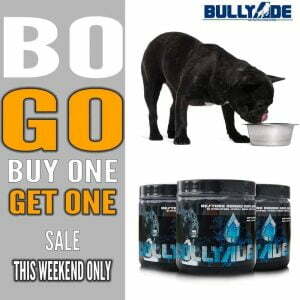 You can take one scoop of Bullyade, pour it into a water bottle and take it with you while your out and about. The moment you see the signs of your pet is in need of some support, give him some Bullyade. Yes if the dog is suffering from heat exhaustion, cooled down blood will help bring the pups temp down and prevent damage to organs. V/r Dog Tipster. Situational heat stroke occurs in the absence of exertion. It mostly affects the young and elderly. In the elderly in particular, it can be precipitated by medications that reduce vasodilation and sweating, such as anticholinergic drugs, antihistamines, and diuretics.